When you suffer an injury at work, you probably assume you’ll be covered under employer-provided workers compensation insurance. While most states do require employers to carry workers compensation insurance for their employees’ protection in case of an injury, more often than not, workers comp benefits will not cover the entire cost of your injuries. In situations like these, you may want to consult with a qualified injury attorney to see whether you’re able to file a personal injury claim. Many victims want to apply for workers compensation benefits as soon as possible after an on-the-job injury to start collecting a portion of their lost wages while they’ll be out of work. In addition to covering up to 80 percent of work injury victims’ total weekly income, workers comp should cover any medical bills victims have incurred. While workers comp can be a big help, you need 100 percent of your lost wages, and you deserve compensation for intangible damages like emotional trauma and pain and suffering. Fortunately, a personal injury claim can provide you with compensation for those kinds of damages. The main difference between workers comp benefits and the compensation you’ll receive in a personal injury claim is the need to establish fault. Workers compensation benefits will be given to you regardless of who was to blame for your work accident, as long as you weren’t breaking company rules or committing a crime when you were injured. We will only be able to file a personal injury lawsuit under specific circumstances. Usually, you can’t file outside the work comp system unless your employer acted egregiously to put you in harm’s way or a third party other than your employer hurt you. If, for example, a defective power tool injured you, you could sue the manufacturer of that tool. 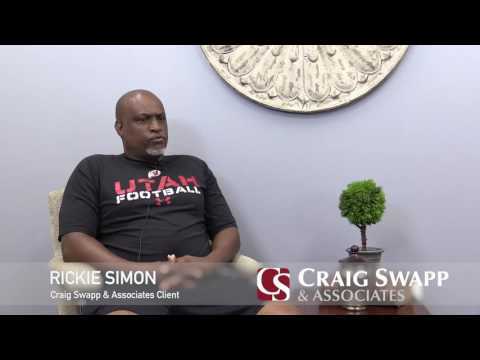 If you have been injured at work and workers compensation insurance isn’t going to cover all of your expenses, contact an experienced personal injury lawyer at Craig Swapp & Associates. We will do everything we can to ensure that you are able to recover maximum compensation for the damage done in your work accident. You can schedule your initial claim evaluation today by calling 1-800-404-9000 or filling out the form below.